El Capitan! Seriously, what were you thinking Apple? While Microsoft has been busy cramming lots of new features into Windows 10, Apple is taking a different, iterative approach with OS X 10.11, called El Capitan. Yes, like the headline says, that is the actual name. The focus is on refinement, with the biggest changes to the latest Mac operating system being a more polished and beefed-up user interface, improvements to the built-in software and better performance. Visually, OS X 10.11 El Capitan introduces new gestures, like swipe to delete emails in Mail, an improved Safari user interface, which now gives users the option to pin tabs by swiping and the ability to quickly mute audio in individual tabs. The most-obvious and interesting change in this area, however, is related to multitasking. Apple has followed Microsoft in offering split-view in the OS X 10.11 El Capitan user interface, which works much like Modern UI in Windows 8.x. Users can change the ratio between the windows that are shown at the same time by moving the bar between them. The Spotlight panel can be resized and moved where the user wants, but it also gains more contextual awareness. Users can type more natural search queries, with the appropriate results showing up for, say, “documents that I created in January”. OS X 10.11 El Capitan also features more powerful inter-app communication, with users able to pull content from one app to another app, like a link from Safari to Mail. The notes app — Notes — comes with better formatting functionality. 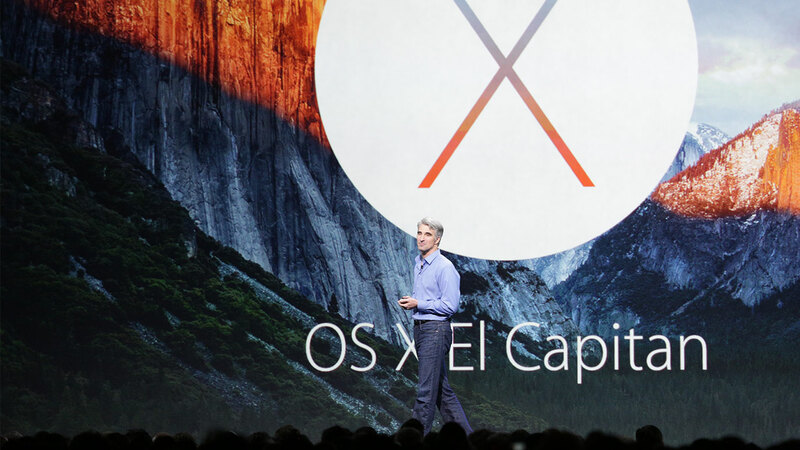 Apple claims that performance has been improved throughout OS X 10.11 El Capitan. The figures: 1.4 times faster app launches, 2 times faster app switches, 2 times faster email pulls, and 4 times faster PDF openings. That is not all, however, as OS X 10.11 El Capitan also gets Metal, which Apple introduced in iOS 8, and it enables 50 percent faster rendering, 40 percent lower CPU loads and, as a byproduct, improved battery life. Apple says that, using Metal, Adobe has seen performance increase by up to 800 percent in its software. There is no word yet on availability, but we should expect OS X 10.11 El Capitan to come after iOS 9 this fall. Apple has previewed its latest mobile operating system following OS X 10.11 El Capitan. This entry was posted in News, Technology and tagged apple el capitan, mac, os 10 el capitan, OSX, real name, stupid name, technology, windows 10 on June 8, 2015 by DemonicSweaters.